With money being tight these days, here is a way that you can save $30 or more per month and still get the programming you want on your TV. Technology now gives us the opportunity to watch current and past TV episodes, movies and specials on our own schedule via Netflix or Amazon on Demand. These are services that cost most people a lot less than cable or satellite and generate even more programming choices. In addition to the programming, you need to purchase a Roku player or an Apple TV unit. There is an initial cost of between $80 and $100, but the monthly charge associated with Netflix and Amazon on Demand is far less than your cable or satellite programming, so you will end up saving money in just a few months. For $8.95/month you can now subscribe to Netflix and watch unlimited shows without ever having a DVD sent to you house. You can watch Showtime series like Dexter and other pay channel series like Weeds and many, many more. In addition to this, you can choose from thousands of movies, TV series and other special programming. It’s all available instantly in HD. No waiting. You can try Netflix for 30 days for free. Amazon charges per episode or per movie watched. But now customers can buy an Amazon Prime account and receive free online programming from Amazon. Amazon prime also entitles you to free Two-Day Air shipping and $3.99 per item overnight shipping on the millions of items that Amazon sells. Living in a small town often means that you have to drive 40 miles to buy certain things. Amazon is a big help for this problem and Amazon Prime makes sure you get your order fast and with FREE SHIPPING. You can also try Amazon Prime for 30 days for free. Personally, I think Amazon Prime is worth its weight in gold because of the limited shopping options we have in Mineola. You get a one month free trial, then Amazon Prime is only $79 per year and well worth it. Roku uses your broadband Internet connection to bring the programming choices of Netflix and Amazon on Demand to your television. The units start at $59.99 and go up to about $100. They are very easy to hook up to your television. No tools or technical knowledge are required. Apple TV does the same thing that Roku does, but it also adds lots of additional functionality if you have an Apple computer. You can not only watch all of the TV programming, but you can stream music and video from your iTunes over your TV and so much more. 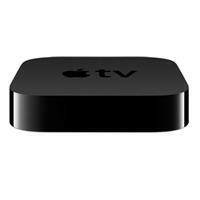 Apple TV is $99 and shipping is FREE from the Apple Store. Both the Roku and the Apple TV units are very, very small. They are a little bit larger than a pack of cigarettes so they will fit nicely most anywhere or on any shelf near your TV. In any combination, the programming you will get using the services listed on this page will be cheaper than even basic cable from the cable company. You will be able to watch what you want when you want to watch it. The Roku Player and the Apple TV do basically the same thing. You only need one of these.